Metabolic Syndrome (MS) is a highly prevalent condition in developed countries and is a cluster of several risk factors for type 2 diabetes and cardiovascular disease that includes increased body mass index/waist circumference, visceral obesity, insulin resistance, hyperclycaemia, dyslipidaemia and hypertension, which are all major causes of morbidity and death. 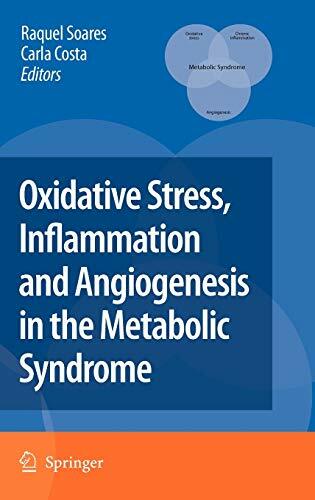 This volume provides a critical review and discussion of the knowledge gathered on MS and analyzes the interplay between oxidative stress, chronic inflammation and angiogenesis features. There is a special focus on recent discoveries and progress toward possible therapeutic strategies, such as the role of glucose transporters within MS; the effects of polyphenols as anti-oxidant, anti-inflammatory and anti-angiogenic compounds. 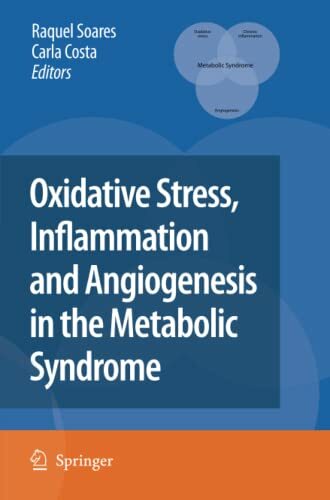 The role of NFkB, nitric oxide synthases, hypoxia-inducible factors, and many other molecules that play a part in the development of oxidative stress and inflammation as well as angiogenesis is also covered. This book fills the gap between basic science and medical care, and provides the reader with the skills to apply rigorous basic science to clinical settings of metabolic syndrome-associated disorders.